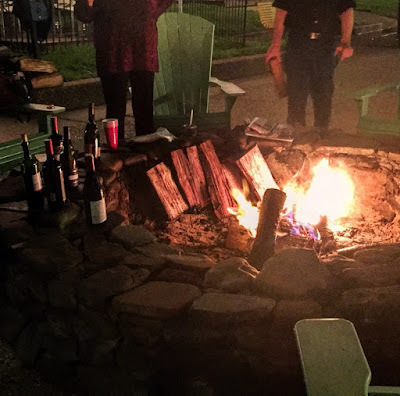 Liveaboard boaters from CYC and Gangplank Marina gathered around The Wharf firepit on Christmas night for some much needed camaraderie. Huge thanks to CYC for planning the event. The wood was a little wet from the rain but that didn't stop the fire or anyone from having a good time. If anyone would have told us we'd be sitting around the firepit in shorts and flip-flips in December we would have thought you were crazy.